The #1 Source for Golf Cart Tires, Wheels, Parts & Golf Cart Accessories! 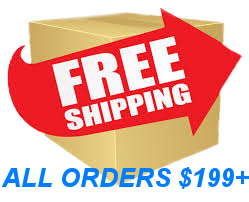 FREE SHIPPING on ALL Orders $199+!! Welcome to the Golf Cart Tire Supply! Thanks for swinging by. We here at GCTS know that you have options. We realize that choosing the right set of wheels and tires for your golf cart is much like choosing your favorite pet or favorite child (it can be impossible)! We also know that sometimes you just want a simple set of replacement tires, and a simple answer to your tire and wheel related questions. Our job is to make your buying process an easy one so you can spend more time driving your cart and less time dealing with headaches. Are you looking for a set of DOT Golf Cart Tires (Department of Transportation approved or street legal) or pre-mounted DOT Wheel and Tire Combos? Looking for simple OEM replacement tires (18x8.50-8")? Looking for some new golf cart wheels? Or looking for some Golf Cart Accessories to upgrade your cart or Golf Cart Parts to fix it? Look no further! We have great relationships with the best brands in the business so that we can bring you the strongest product offering available while never compromising quality. We not only carry golf cart tires; we carry golf cart wheels and tires combo sets and an offering of golf cart parts and accessories for EZGO, Club Car and Yamaha Golf Carts as well! We can help you upgrade your cart's performance and appearance on any budget and are knowledgeable enough to provide you all the information you need when you're in the hunt for some fresh rubber. 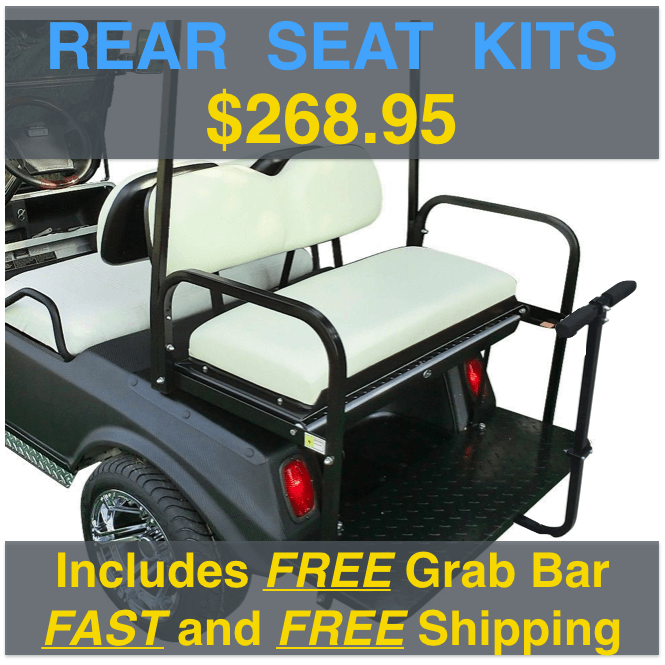 So grab a new golf cart rear seat, upgrade your look and make your golf cart more like you. We here at the Golf Cart Tire Supply want to keep you carting and keep you happy. You will notice that we have built a clean and organized website, and we are just as organized with your orders as we are with our presentation of our products! All of the products we offer are typically backed by lifetime warranties. Bend a rim? Send it back to us for a free replacement. Please allow us to earn your trust by providing quick and organized service, real knowledge and real answers. Have a wonderful day and thank you for choosing the Golf Cart Tire Supply!